Healthcare related outpatient enterprises are those that provide services that do not require hospital admission and may be performed outside the premises of a hospital. Valuation of healthcare related outpatient enterprises, similar to the valuation of any business, should include consideration of the three general approaches to valuation, i.e., the income approach, the market approach, and the asset/cost approach. Use of specific methods under each approach will be guided by the facts and circumstances of the engagement, e.g., availability of data, nature of the current transactional marketplace, etc. This article focuses on utilizing an asset/cost based approach to valuing outpatient enterprises, while previous articles in this series addressed the use of an income based approach, as well as a market based approach, to value outpatient enterprises. Healthcare related outpatient enterprises are those that provide services that do not require hospital admission and may be performed outside the premises of a hospital. Valuation of healthcare related outpatient enterprises, similar to the valuation of any business, should include consideration of the three general approaches to valuation: the income approach, the market approach, and the asset/cost approach. Use of specific methods under each approach will be guided by the facts and circumstances of the engagement, e.g., availability of data, nature of the current transactional marketplace, etc. This article focuses on utilizing an asset/cost based approach to valuing outpatient enterprises, while previous articles in this series addressed the use of an income based approach, as well as a market based approach, to value outpatient enterprises. Asset/cost approach based methods seek an indication of value by determining the cost of reproducing or replacing an asset. This approach is sometimes utilized in healthcare appraisal when the entity has little or no net economic benefit stream to be valued and/or in a circumstance where the entity is not being considered on the basis of a going concern. 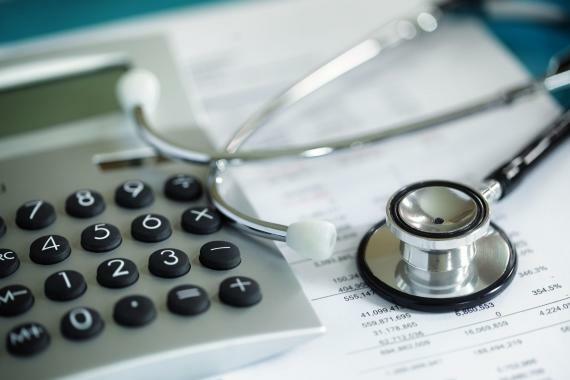 It is often also used for the valuation of healthcare intangible assets, where there may be significant regulatory risk related to the Anti-Kickback Statute and Stark Law in employing an income approach based method. The valuation analyst, in employing an asset/cost based approach to valuing an outpatient enterprise, has numerous methods available to him or her, including: Net Adjusted Asset Method, Liquidation Value Method, and Excess Earnings Method. The Net Adjusted Asset Method estimates the value of the total invested capital of an outpatient enterprise by identifying, distinguishing, disaggregating, and summing the Fair Market Value of both the tangible and intangible assets which comprise the outpatient enterprise. Typical transactions of outpatient enterprises may include tangible personal property (furniture, fixtures, and equipment), real property (buildings), and intangible assets (e.g., procedures and protocols, trained and assembled workforce, and custody rights to patient medical records). The final opinion of value issued by the analyst will be the summation of the value of each of the individually and distinctly identified and appraised tangible and intangible assets. It is the affirmative responsibility of the valuation analyst, in conference with the client, to explicitly determine those assets which will be included and those assets which will be excluded from consideration by the valuation analyst in utilizing the Net Adjusted Asset Method. For example, an outpatient cardiology practice may be comprised of tangible assets such as: (1) cash, (2) accounts receivable, (3) cardiac diagnostic imaging equipment, (4) office computers, (5) office desks; and intangible assets such as: (1) trained and assembled physician workforce, (2) trained and assembled non-physician workforce, (3) custodial rights to patient medical records, (4) patents and other intellectual property rights, and (5) trade names. The particular circumstances of the prospective transaction may indicate that certain of these assets should be excluded from consideration by the valuation analyst (e.g., cash and accounts receivable may not be transferred as part of the anticipated transaction). The final determination of the assets to include/exclude in an analysis should be determined through discussions between the analyst and the client and explicitly memorialized in the valuation engagement agreement. Liquidation Value Methods, either by orderly or forced disposition, estimate the value of an enterprise by determining the present value of the net proceeds from liquidating the company’s assets and paying off any outstanding liabilities of the outpatient enterprise. The “orderly” method is used to describe a situation in which the sell-off process is conducted in an organized and systematic fashion within a reasonable time horizon directed by the seller. In this scenario, a lesser degree of urgency exists, in contrast to the “forced” method where the seller is no longer in a position which affords them the opportunity to proceed at their own discretion toward liquidation of the component assets, with (all or the majority of) the assets being sold at approximately the same time in the same relatively quick time period—often at auction. Generally, the orderly liquidation value method will yield a value greater than the value which may be determined under the forced liquidation value method. The Excess Earnings Method (EEM), also called the Treasury Method or the IRS Formula Method, is based on Revenue Ruling 68-609. EEM is considered by many valuators to be a “hybrid” method, combining elements of the asset/cost approach with elements of income approach methods. EEM first values the intangible assets of the outpatient enterprise utilizing a residual technique, whereby a portion of the benefit stream (e.g., net free cash flow or net income) is first attributed to a return on net tangible assets utilizing a market derived cost of capital for similar tangible assets. Second, an appropriate portion of the benefit stream is attributed to the fair market value of the replacement cost of services provided by the owner as “owner compensation,” and finally, the dollar amount of the benefit which remains after the deduction of these two amounts (the residual) is then presumed to be attributable to the intangible assets. This amount of the benefit stream, which has been determined to be allocable to the intangible assets of the subject entity, is then capitalized using a risk adjusted equity rate of return. The resulting indicated value of the intangible assets is then combined with (added to) the value of the tangible assets of the subject entity to arrive at an estimate of the overall asset value for the subject entity as a going concern. Much confusion has arisen among valuation professionals as a result of Revenue Ruling 68-609, in that, some commentators have drawn the erroneous conclusion that the absence of residual or excess earnings for an outpatient enterprise implies there is no value which may be assigned to the intangible assets of the outpatient enterprise. However, this conclusion is arrived at through a misunderstanding of the concepts of necessity and sufficiency. While the existence of the excess earnings, as described above, is a sufficient condition for the existence of value (if excess earnings exist, then value exists for the intangible assets of the outpatient enterprise, it lacks necessity; it is not true that value exists for the intangible assets if and only if excess earnings exist for the outpatient enterprise). It is not difficult to imagine a situation where an existing intangible asset might be under exploited by its current owner, resulting in a lack of excess earnings, but would still retain significant value to the universe of typical investors in a particular intangible asset which investors may be better positioned to employ the intangible asset to generate excess earnings. For example, an outpatient enterprise with superior depth and skill of management may be able to more efficiently utilize a trained and assembled workforce than a similar outpatient enterprise which lacks the ability to effectively manage the workforce. As a result, the outpatient enterprise with the more capable management may place value on the trained and assembled workforce of the less capably managed outpatient enterprise, even in the absence of historical excess earnings, as the better managed outpatient enterprise may have an expectation of future excess earnings not attainable by the current owners. In the circumstances where an outpatient enterprise may fail to produce any excess earnings which can be capitalized into value for the intangible assets of the outpatient enterprise, the valuation analyst should explore alternative methods to the Excess Earnings Method, such as the Net Adjusted Asset Method described above, to arrive at an indication of the Fair Market Value of the intangible assets of the outpatient enterprise. This article concludes the four-part series on the healthcare valuation series of outpatient enterprises, which also discussed the: (1) Determination of the Appropriate Standard of Value and Premise of Value, (2) Income Approach to Valuing Outpatient Enterprises;,and (3) Utilization of the Market Approach in Appraising Outpatient Enterprises. “Healthcare Valuation: The Financial Appraisal of Enterprises, Assets, and Services,” By Robert James Cimasi, MHA, ASA, FRICS, MCBA, AVA, CM&AA, Hoboken, NJ: John Wiley & Sons, 2014, Vol. II, p. 105. Ibid, p. 105 – 108. “Valuing a Business: The Analysis and Appraisal of Closely Held Companies,” By Shannon Pratt, CFA, FASA, MCBA, MCBC, CM&AA & Alina V. Niculita, CFA, MBA, Fifth Edition, McGraw-Hill, 2008, p. 47-48. “Computation of Gain or Loss,” Revenue Ruling 68-609 (1968). “Oxford Dictionary of Economics” By John Black, Oxford, England: Oxford University Press, 2002, p. 317.